Vote Twice Today! 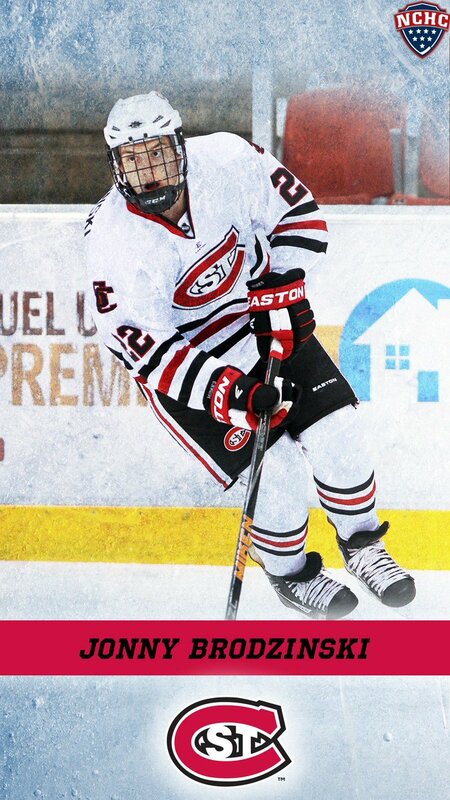 @SCSUHUSKIES_MH Jimmy Schuldt needs your votes for the 2019 Vote for @HobeyBakerAward and 2019 @SnrCLASSAward fan polls. 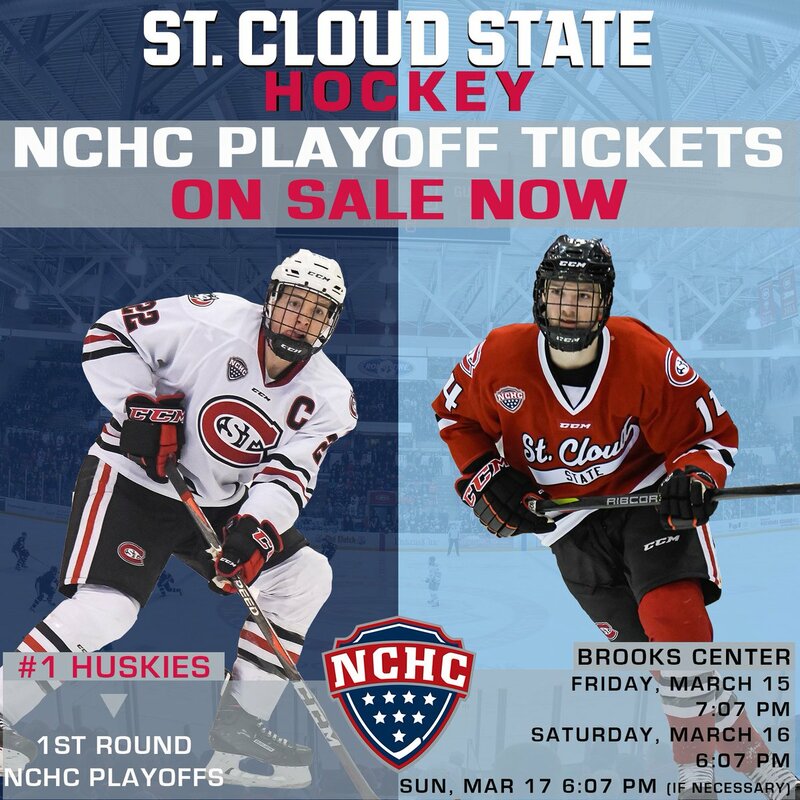 You can vote daily...let's get the vote out SCSU Fans! Is there an ETA for when Fitzgerald is expected back? He should be back March. Just in time to get warmed up for playoffs. But there is a chance that we could lose a lower forward to an upper body injury as early as this week, but I don't think it is likely. Even if he does come back I doubt he's 100%. I'm not sure he would want to come back against Duluth and Wolff. Pretty sure he would target him again. I'm not putting any hopes unless we advance far or there's other injuries. I wouldn't bring him back too soon especially regular season unless he's 100%. Even if he gets the sling off it will be a couple weeks to get back into game condition and who knows how his shoulder will feel once he puts full stress on it. A lot of unknowns at this point. mdneilson wrote: He should be back March. Just in time to get warmed up for playoffs. But there is a chance that we could lose a lower forward to an upper body injury as early as this week, but I don't think it is likely. Meaning on the 3rd or 4th line I assume? I believe Walker was close to being ready, so hopefully we see him at UNO. Unless that is who you are referencing. 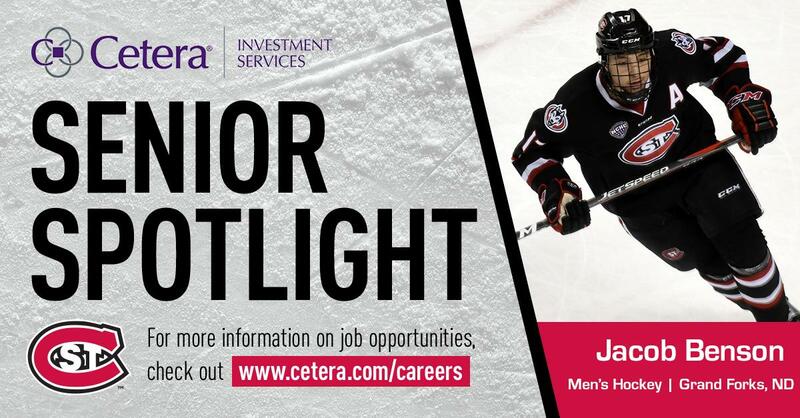 What do Mason Bergh & Jimmy Schuldt have in common? 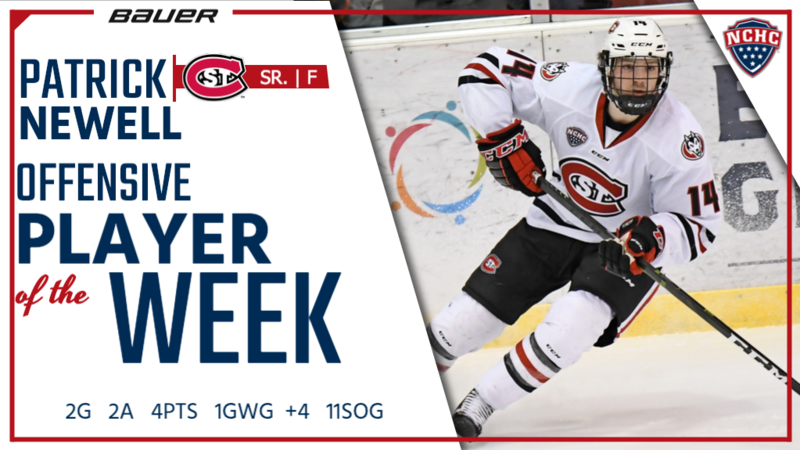 Goal by @SCSUHUSKIES_MH Sam Hentges is @USCHO #2 play of the week! 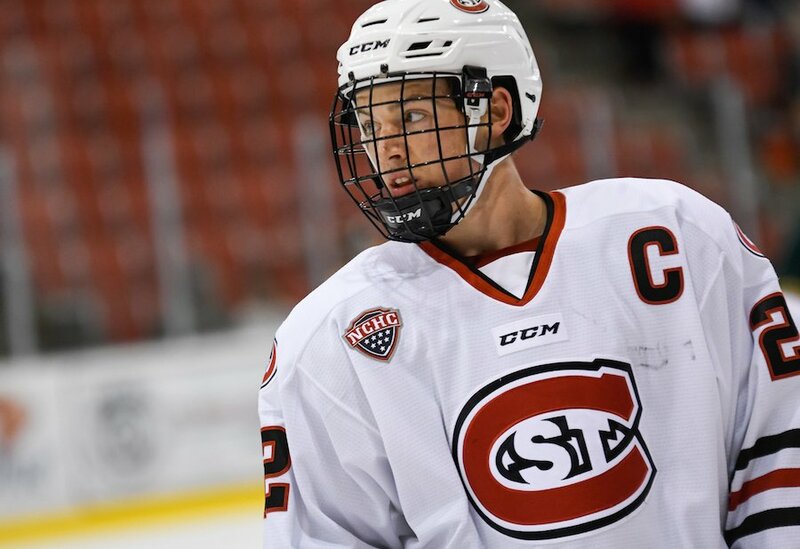 Our @SCSUHUSKIES_MH Senior Team Captain Jimmy Schuldt is a top 10 finalist for the 2019 @SnrCLASSAward - Fans can vote for Jimmy everyday at the link listed below. GO HUSKIES! 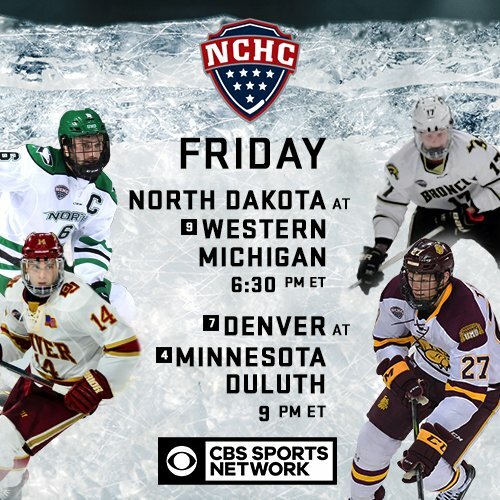 It's another #NCHCHockey doubleheader @CBSSportsNet! Nothing to see here... except our weekly #CaptionContest! These former #NCHCHockey stars were pretty good too. Now they can shine on your phone and in the pros! Also, in case you missed it earlier this week, I wrote a piece on future regionals and the bidding process. With the results of this past weekend, we have officially clinched Home Ice for the first round of the NCHC Playoff! Playoff tickets just went on sale! 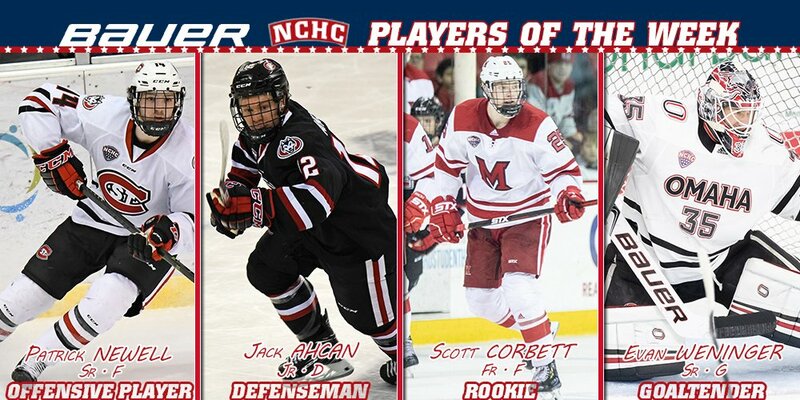 Vote for @HobeyBakerAward -Vote for @SCSUHUSKIES_MH Jimmy Schuldt today! The team captain and blueline leader on the nation's #1 ranked team. 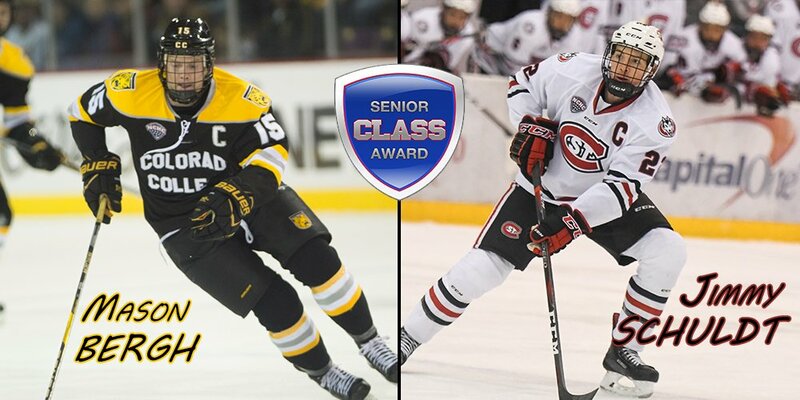 One more voting assignment for tonight... @SCSUHUSKIES_MH Jimmy Schuldt needs your vote for the 2019 @SnrCLASSAward . Vote everyday for Jimmy! Despite an offseason coaching change, @SCSUHUSKIES_MH has remained atop the national rankings. 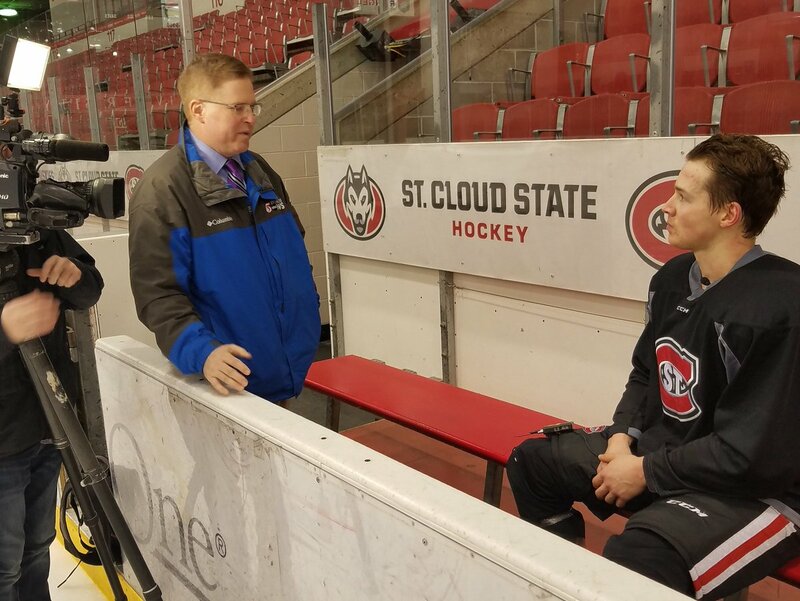 Tonight on @KSTP... how wisdom from a legendary former @SCSUHUSKIES coach found its way to new coach Brett Larson. @ChrisLongKSTP has the story tonight on @KSTPSports at 10:20.